Here is the card that I had made for the sketch challenge which is held each month for our club night. 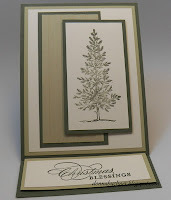 I used my new SU embossing folder Northern Flurry. Love it! 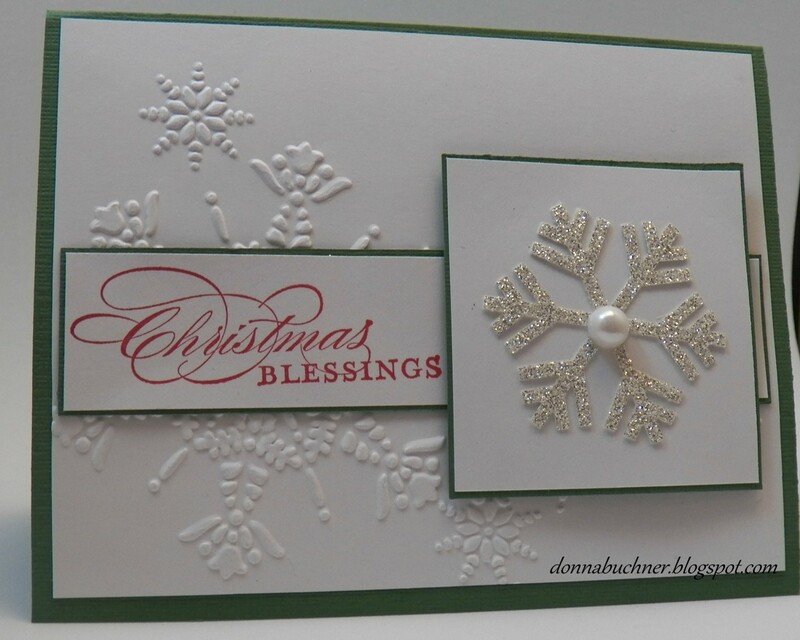 I used my SU snowflake punch to punch out my snowflake from SU silver glimmer paper. This paper is awesome! the glitter really does stick to the paper. Not messy to work with at all. 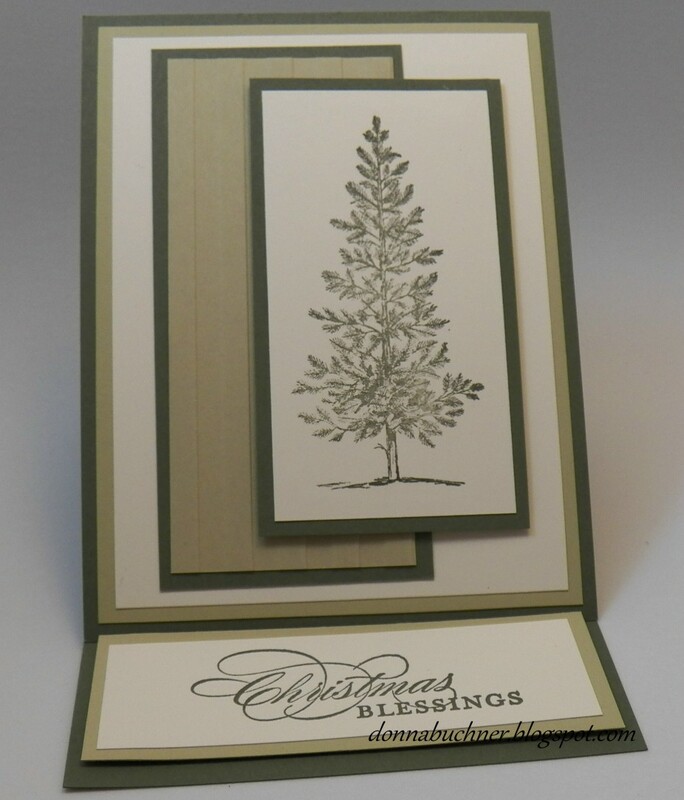 It was hard to use the punch on it so next time I will have to use a sizzix bigz die. 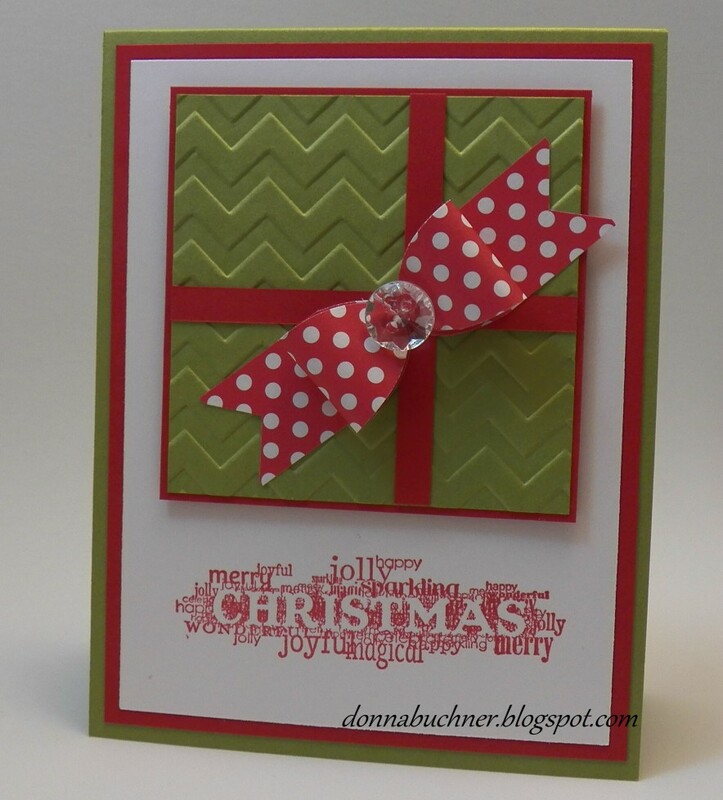 This first card I had learned how to make the paper ribbon! 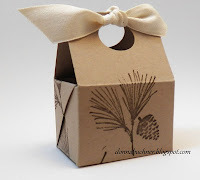 and the 3rd and last item we measured, scored and cut to make this adorable treat box! Donna, your creations are FABULOUS!! I just CANNOT believe how many projects your group completes in one evening!! AMAZING!!! Missin' you and lookin' forward to a GOOD chat session, SOON, ya hear? ?